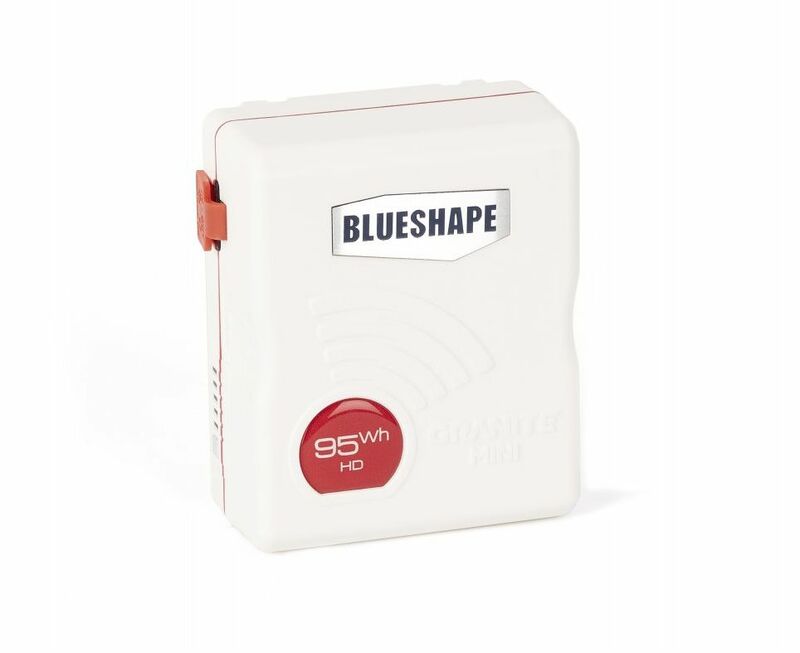 BLUESHAPE's GRANITE MINI batteries are designed to push a lot of power from a small chassis that is robust, yet matches with the form factor of compact video and cinema gear. 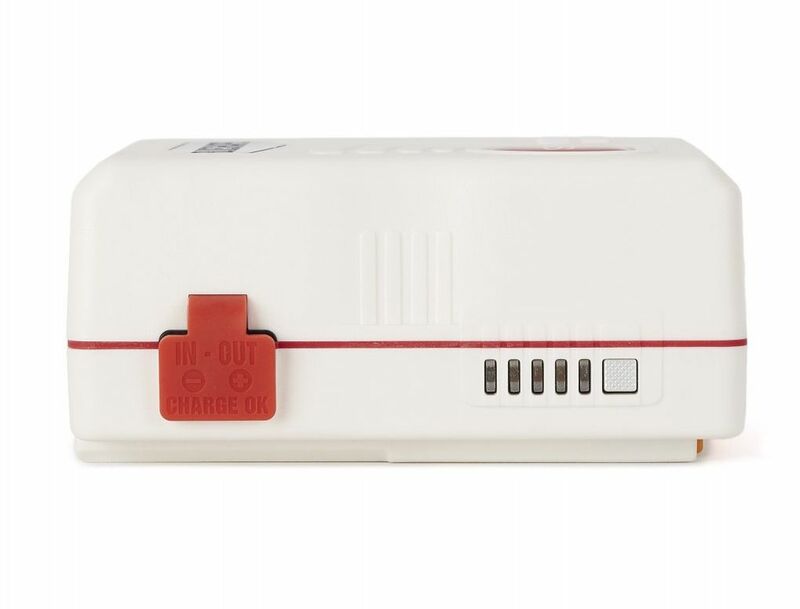 On the outside, these batteries are designed for the rigors of a film or video set. The textured finish is easy to grab and is resistant to blemishes from drops and impacts. Both the interior and exterior have been tested to survive multiple vertical drops from up to 6 feet onto hard surfaces. 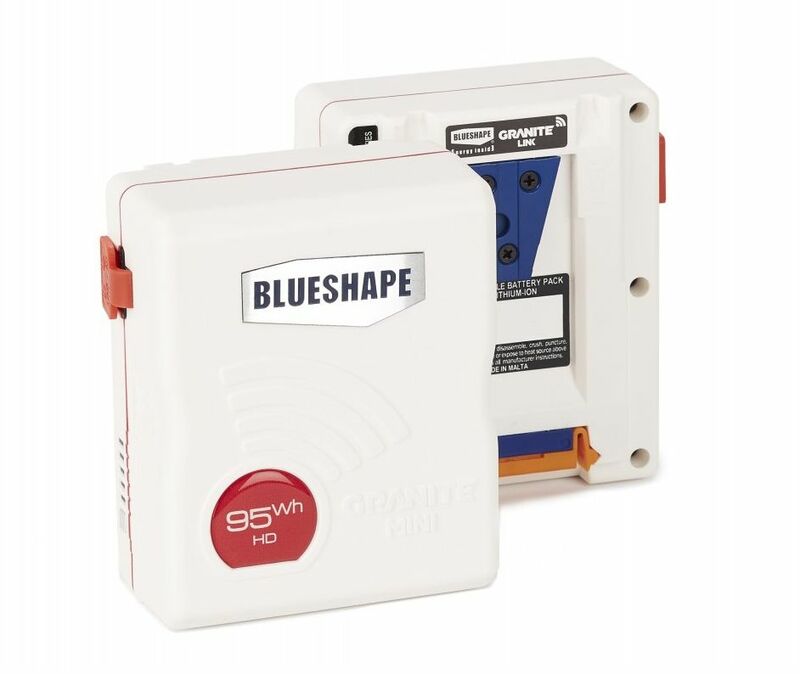 The reinforced V-mount will accept a charge from most standard chargers, though a separately available BLUESHAPE V-mount charger is recommended. 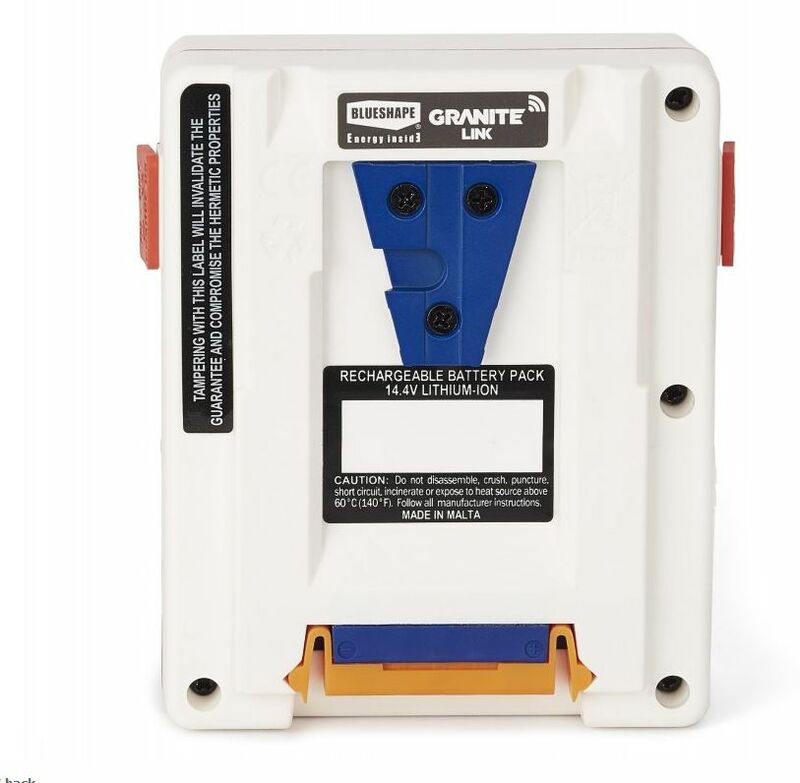 Aside from being robust, the GRANITE MINI batteries are also powerful. Power-hungry cameras and lights can draw up to 12 amps, between the main battery output and the two D-taps on the sides. 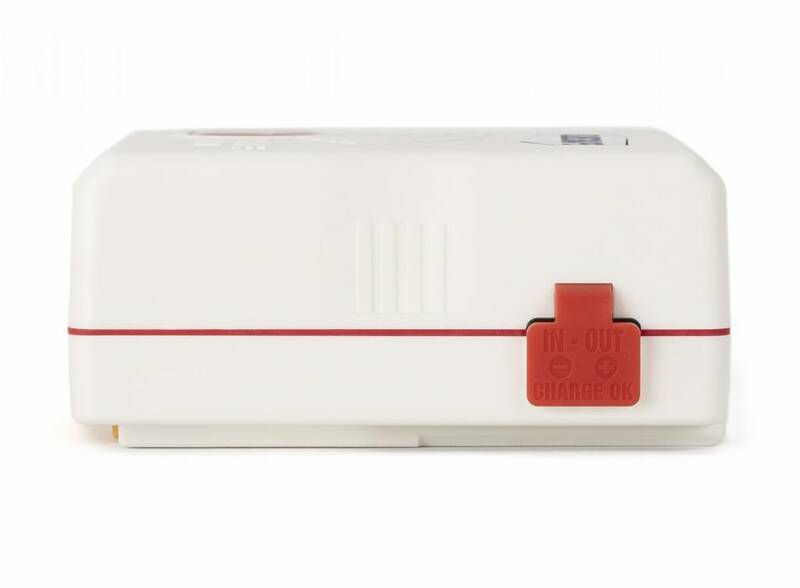 I addition to outputting 14.8 volts of power, either D-tap can serve to charge the battery with a separately available D-tap charger. As an extra measure of protection, the D-taps have rubber covers that help maintain the IP54 resistance rating against moisture and dust ingress.